In a previous post, I mentioned the issue at hand. 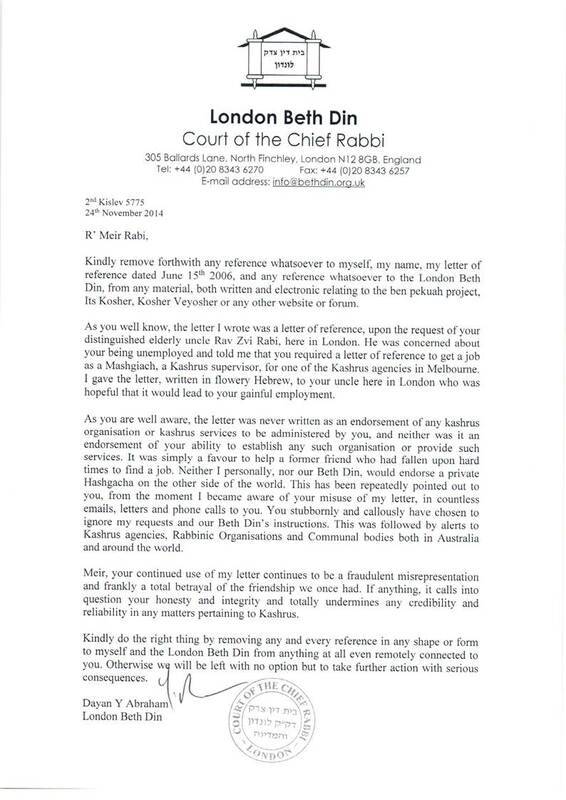 He has published a response (below) to the RCA resolution claiming it was political and not halachic. His arguments about Deborah and Bruria are well known and existed well before the RCA, so to claim them as proofs for his opinion is rather vacuous. Bruria is brought in a Tosefta in Kelim, but in the Mishna it is brought in the name of Rabbi Yehoshua (from memory chapter 2). Was that a political decision by Rabbi Yehuda Hanasi or was there more to it. Were the Rabbis afraid (despite Deborah et al) to name Bruria? If so, why is that? Was Rav Yehuda Hanasi a slave to social mores or were his social mores determined by Mesora which does not deny the Bruria’s of this world, but does deny them Sroro unless it’s a Horoas Sho-oh. I’m not aware of Rabbi Riskin’s appointment as a prophet, but I’d suggest he has bigger fish to fry. What is the divorce rate in Efrat compared to similarly sized towns in Israel? Why is that? That would bother me much more. Unfortunately, Rabbi Riskin doesn’t have Rabbi Yosef Dov Soloveitchik or the Lubavitcher Rebbe, both of whom he would have consulted today about such a pronouncement. I will take Rav Hershel Schachter as a Halachist over Rabbi Riskin any day of the week. By the way, does Rabbi Riskin consider Open Orthodoxy Conservative (like the Aguda pronounced yesterday)? Does he consider them conservative with a big C? I have written to the Rabbinic Council of Victoria. So far, I have not elicited a response. I won’t let go though, till they issue their response. This issue is too fundamental for each Rabbi to make their own determinations. It’s a question about which group you align yourself with, and I suggest very strongly that the Rabbinic Council of Victoria align itself formally with the RCA. Rabbi Shlomo Riskin, the municipal chief rabbi of Efrat and one of the most prominent leaders of Modern Orthodoxy, has criticized a recent resolution adopted by the Rabbinical Council of America which banned its member rabbis from giving any form of ordination to women or hiring women in a role of religious or spiritual leadership. It appeared to be mostly aimed at institutions associated with the liberal Orthodox movement loosely defined as Open Orthodoxy, including Yeshivat Maharat in Riverdale, New York, founded by Rabbi Avi Weiss, which gives ordination to women to serve as spiritual guides and give rulings in Jewish law, or halacha. Riskin, along with other rabbis in Israel, is himself an RCA member and oversees the Susi Bradfield Women’s Institute for Halachic Leadership (WIHL) at Midreshet Lindenbaum in Jerusalem, which gives women a qualification that amounts to ordination, although it is not labelled as such. And Riskin has also appointed a graduate of WIHL to a position of spiritual leadership, the first such appointment to the Orthodox world in Israel, when he hired Dr. Jennie Rosenfeld last year to work as a halachic and spiritual guide in Efrat. Women at WIHL complete a program of Talmudic and halachic study comparable to ordination programs undertaken by men, and upon graduation are given the title of Morot Hora’ah and are certified to serve as spiritual leaders and arbiters of Jewish law. Speaking to the Post, Executive Vice President of the RCA Rabbi Marc Dratch said that the qualification given by WIHL did not come under the definition outlined by the resolution. Talking more broadly about the resolution, Dratch said that he hoped it would not lead to further division, and noted that some members of the RCA leadership had publicly stated that they were opposed to the resolution, not necessarily because they disagreed with it but because they felt it was not the best way to deal with the issue. In terms of the practical impact of the resolution, Dratch said that if an RCA member rabbi were to act in contradiction of the resolution, a concern could be brought to the association’s executive committee which could then convene a mechanism to evaluate the concern and, if required and so decided, take action. Meira Welt-Maarek, a recent graduate of WIHL who serves alongside a school rabbi as a spiritual leader in a high-school in the Alon Shvut settlement also under Riskin’s direction, labelled the RCA resolution as “political,” saying it was not presented with any sources to support it. “A halachic argument has a textual frame of reference and they have none, it’s just an opinion which creates divisions,” Welt-Maarek told the Post.